New leads can be very exciting. They are new opportunities that can bring great success to your business. But how does one reach out to them without overwhelming them with loads of information? There are many right ways to nurture a new lead. Some companies opt for email campaigns while others reach out them personally through phone calls. There is no absolute right or wrong way, but some ways are more effective than others. In a previous post, we talked about 5 great marketing ideas for Small Businesses. So how does one choose the right way to market to a new lead? Introducing your company to a potential lead can be a bit daunting. You obviously want to make a great impression without turning them away so quickly. Some companies will overwhelm their new leads with a ton of information. Basically, giving too much too soon. A slow introduction might prove more effective. Slowly start giving them information about you through email campaigns. It will be easier to digest the information that way. Don’t try to sale to them immediately either. You are just getting to know each other, give it time! Nothing is more embarrassing than talking to a new lead and realizing you don’t actually know anything about them. Building mini profiles of potential leads will help you in the long run. Find out what they do, how many employees they have, and why your services are a great fit for their company. A quick snapshot of who’s who will help you when you have 30+ leads that you have to reach out to. First impressions are important, so make sure you make it a good one! Start off with a joke or an ice breaker. Maybe give them something you guys have in common so they relate to your business. There are many ways to say the first “hello”, but the most important things are to introduce your company without coming off too strong and give them an actual chance to respond to you. As we mentioned above, give the companies a chance to interact with you. People love direction. Include things to do in your introductory emails (follow on social, click a link to learn more, etc.). Interactions create interest, which can then turn into business relationships. It takes two to tango. If you see no interaction, then you can place your marketing efforts with other leads. This is a great filtering process to show you who is actually interested in doing business with you. 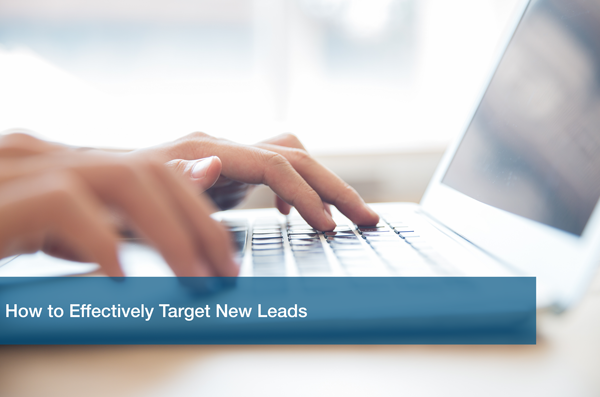 These aren’t the only ways to nurture new leads. Marketing practices are always evolving as technology changes the way we communicate with people. The great thing about this field is that there’s always something new to learn or try out. Marketing tactics can change. Try out different strategies and find one that works for you. Need some help in the technology department? Schedule a free IT Analysis with one of our experts and we’ll help ensure you have the right technology to back up your business. ITC is an innovative IT solutions company offering all-inclusive computer and IT services. We take care of your IT issues, saving you time and energy and keeping you focused on your business. We’re competitively awesome at Ping Pong and Foosball, and our staff is smiling all while having a bit of fun as we help businesses navigate complex technical challenges.